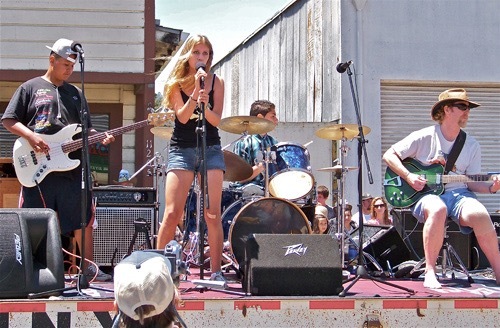 Rock Band Camp is geared towards both the beginning and advanced musician. Campers will be placed in appropriate bands according to their age and playing ability. Daily activities will teach beginning participants how to write songs, how to play in a band with others, how to play rock rhythms and much more. 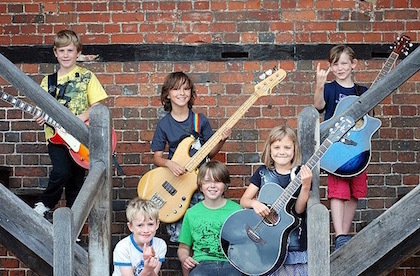 We create an environment for these young musicians to experiment with their musical creativity and have fun! The more advanced camper has their place at band camp too! The more experienced musician will advance their individual musical knowledge and play with more fluidity in a group environment. Advanced participants will also have more time in the studio mixing some of their favorite songs! Including songs by Leftover Salmon, Pressure, Peter Gabriel and more. *Activities marked with a (W) are workshops. Activities marked with an (E) are supervised creative ensemble groups. Whether you're looking to further your education or record your next masterpiece... We'd love to hear from you!